Reader Sean sends in these photos taken outside his local Circuit City store in Amherst, as Best Buy's Geek Squad pay their final respects to Circuit City. And by that, I mean they bought stuff. Sean tells us that the store was empty down to 3 carts, which meant Circuit City did the only thing they could: They sold their fixtures. Those yellow price tags you see in the image below are how much the shelves went for, which is what the BB people were there to buy. Everything was somewhere between $75 and $250, in case you were wondering. Goodbye Circuit City. You were a store we went to before. 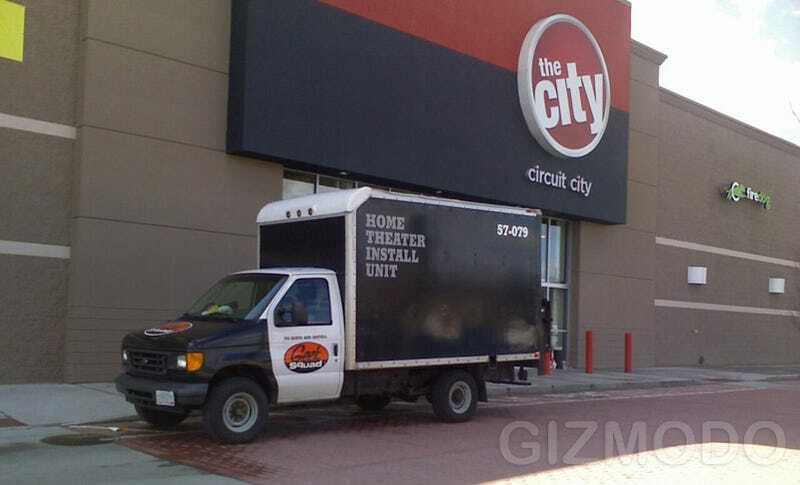 All of Giz's Circuit City coverage - Thanks Sean!